In my previous post I reviewed Daisy Christodoulou’s book and promised to respond specifically to her critique of the current History National Curriculum. She argued that ‘The 2007 KS3 curriculum prescribes not knowledge but a list of skills.’ She then listed the requirements from the ‘Key Processes’ section of the history curriculum. For the purposes of the National Curriculum, a ‘process’ is what you do with knowledge (such as producing ‘accounts and explanations’ that are ‘coherent, structured and substantiated’). The word ‘skill’ is associated with all sorts of baggage and using the word ‘process’ was, as I understand it, a way to avoid using the word ‘skill’, though if one wanted one could define the processes in the National Curriculum as types of ‘skill’. Daisy, therefore, essentially criticised a section containing a list of ‘skills’ for containing a list of skills. The old Ronseal adverts come to mind. This in itself is not an issue. Daisy wanted to criticise the National Curriculum for being too ‘skills-based’ and for her to outline the skills it demands is perfectly acceptable. What seems very odd indeed, however, is that she did not then go on to list the requirements under the section called ‘Range and Content’ which, for the purposes of the National Curriculum, is the substance that is supposed to be covered. Before going any further, I would encourage you to read, carefully, the National Curriculum for teaching history. In particular, pay careful attention to ‘Range and Content‘. This section comes in at 335 words in comparison to the 139 words on Key Processes. As one who is always conscious of dodgy statistics, however, let’s overlook for the moment the fact that ‘knowledge’ gets well over twice as many words as ‘skills’ and let’s delve into the detail. That is, for me, a basic overview of the people, events and developments one would have to teach to come close to fulfilling the demands of the National Curriculum. Plenty of history teachers and historians would add more to the list; few would take much away. All of that, of course, covers just point ‘d’ from British history, and there are four more which have similar demands in terms of the knowledge that would have to be taught to meet the demands of the curriculum. On top of that, there are two points for non-British history, each requiring pupils to learn a significant quantity of factual information to meet the demands of the curriculum. It goes even further, of course. Try teaching ‘the Wars of the Roses’ or ‘the origins of the Tories and Whigs’ without introducing pupils to a considerable quantity of facts. Those 335 words of ‘Range and Content’ cannot properly be taught without teaching thousands of pieces of factual information: I challenge someone to say otherwise. The word ‘properly’ is, of course, the crucial word. If taught properly, the current National Curriculum for history is incredibly knowledge-rich. As we know, however, not all schools have had such a curriculum in place, and we should ask why this is: how can it be that some schools do not have a curriculum that reflects the knowledge-rich character of the National Curriculum? My response, which has been that of the Historical Association for some time, is that a curriculum is only as good as the teacher who teaches it, and school senior managers need to provide the time for the curriculum to be taught. Throughout my career I have been lucky enough to work in two schools that value history as a subject, with history compulsory to the age of 14 and around 1.5 hours a week provided in curriculum time. In some schools, however, history is not high on the priority list and the subject has been squeezed by other things. In some cases pupils follow a competence-based curriculum in Year 7, get one hour a week in Year 8 and then have the opportunity to drop history as they begin three-year GCSE courses designed to improve the number of Grade Cs they attain. In almost all other European countries history is compulsory to 16 and this gives around five years of subject-specialist teaching. This is precisely what David Cannadine pushed hard far during the curriculum review and is, pleasingly, what schools such as Pimlico Academy are introducing. It is, quite simply, impossible to cover the knowledge requirements of the curriculum unless sufficient time is allocated. It is not at all surprising that schools in that situation have been unable to meet the knowledge requirements of the National Curriculum and Ofsted should, to my mind, have been better at checking that the ‘Range and Content’ demands of the curriculum were being met in standard inspections. The second issue is one of subject-specialism. My ability to look at each point in the curriculum and to derive the necessary knowledge required to teach it comes from my academic training as a history undergraduate (primarily ancient, medieval and British imperial history) and my subsequent subject-specific teacher training which had an important emphasis on developing the breadth of my subject knowledge. 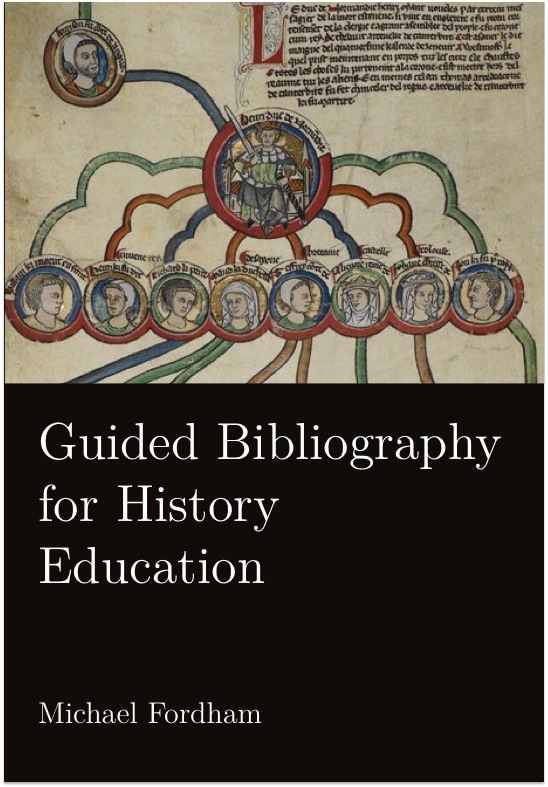 As a practising teacher, and later head of department, I structured my CPD around building my historical knowledge further, not least through extensive reading of subject scholarship including formal and informal department meetings where we set time aside for discussing history. In my hands, and those of the many subject-specialist history teachers I know, the current curriculum is a powerful document that encourages a knowledge-rich curriculum. Non-subject-specialists, however, are unlikely to have the requisite knowledge to be able to interpret the Range and Content section. Despite my defence of the current curriculum, I am not against changing it and, provided some of the obvious weaknesses in the proposals (such as having all history before the eighteenth century taught in primary schools) are removed, I am willing to support a shift to greater specificity in the curriculum. This is not because the proposed curriculum focuses on knowledge rather than on ‘skills’; in fact, the briefest of glances over the Aims of the new history curriculum will show that little has changed since 2007 in terms of the ‘processes’ that must be taught. The reason I can live with the new curriculum is because it will help those pupils who go to school where the two key conditions are not in place. Non-subject specialists, quite understandably, do not have the requisite subject knowledge to interpret the 2007 curriculum appropriately, and for them a more specific list will help. Greater specificity alone, however, will not solve the issue: teaching ‘Warwick the Kingmaker’ is as meaningless to a non-specialist as teaching ‘the development of political power from the Middle Ages to the twentieth century’, and subject-specialists will always be the most important resource a secondary school has for teaching purposes. The point I want to hammer home, however, is that those people who believe that the 2007 history curriculum is ‘knowledge-lite’ and who believe that the proposed 2014 curriculum is ‘knowledge-rich’ have misunderstood the former and exaggerated the changes the latter brings. There is not more knowledge in the proposed 2014 curriculum; it is simply more specific about what knowledge should be taught. I should reiterate that Daisy’s generic views on education support what many of us in the history community have been arguing for years, and it is for this reason that I reviewed her book favourably. I am assuming that the masses who have since done likewise are primarily supporting her general assertions. Assertions, however, are all her points will ever be, unless they are underpinned by a sufficiently rigorous evidence base and, from my reading of her handling of the history curriculum, this is currently not the case.